For Jesus, a simple touch brought healing to the sick and oppressed. From paralytics who walked, to the blind who saw, to lepers made clean, the hands of Jesus brought hope and healing. At Reach Beyond we use medical and compassionate care in His Name to bring physical and spiritual help to people who don’t know Him. Starting with a mission hospital and jungle clinic in Ecuador, Reach Beyond has literally reached its hands around the world to show the love of Jesus in many practical ways. 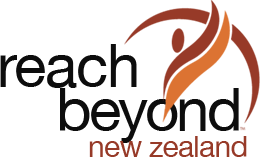 Every year, Reach Beyond organizes, partners with or takes part in compassion initiatives as diverse as mobile medical clinics, emergency disaster relief, clean water projects, medical training, missionary training, building projects, horticultural assistance, community centres and English language learning. All projects and initiatives are staffed by volunteers and missionaries who have seen that what they do makes a real difference in peoples’ lives. All projects and initiatives are made possible by people who are open to the need, and share their resources to partner with Reach Beyond in bringing Christ’s compassion to a hurting world.